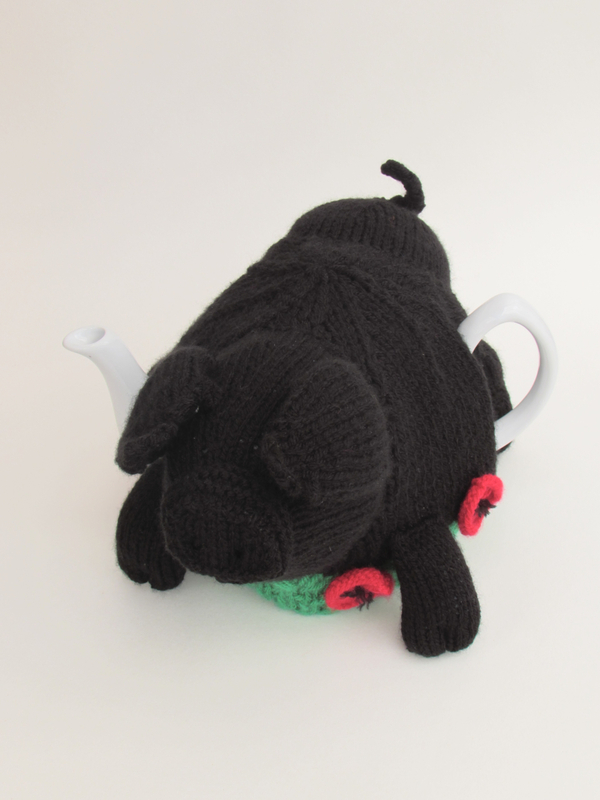 This tea cosy was commissioned by a pig breeder in America that specialise in Large Black Pigs, so it was important to get the shape and characteristics right. 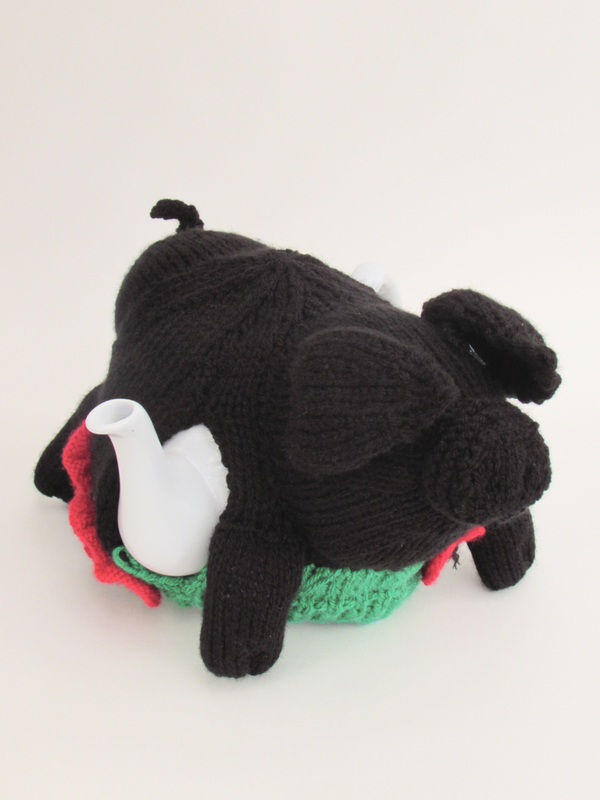 Not only is it a Large Black Pig, but it's also a large sized tea cosy that fits a teapot that holds 10 cups of tea. 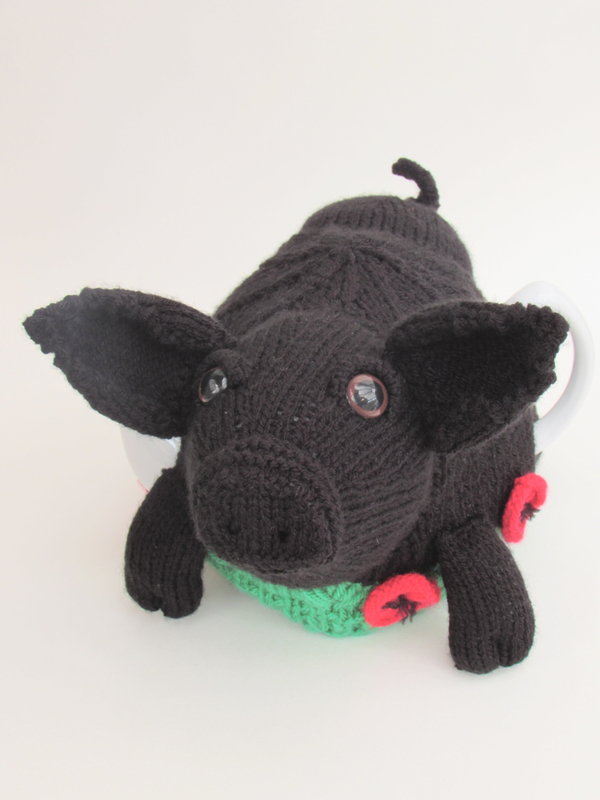 Around the pig I was asked to adorn the pasture with poppies. 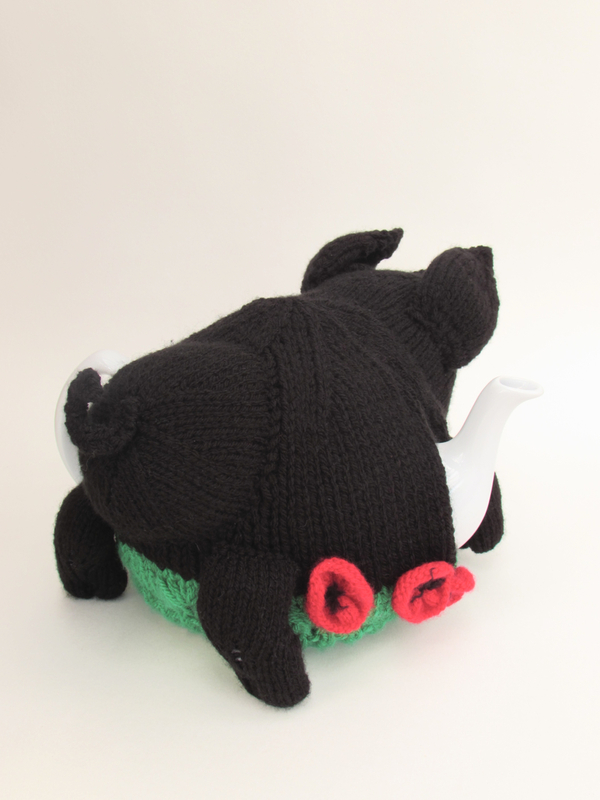 They look really eye popping against the blackness of the pig. 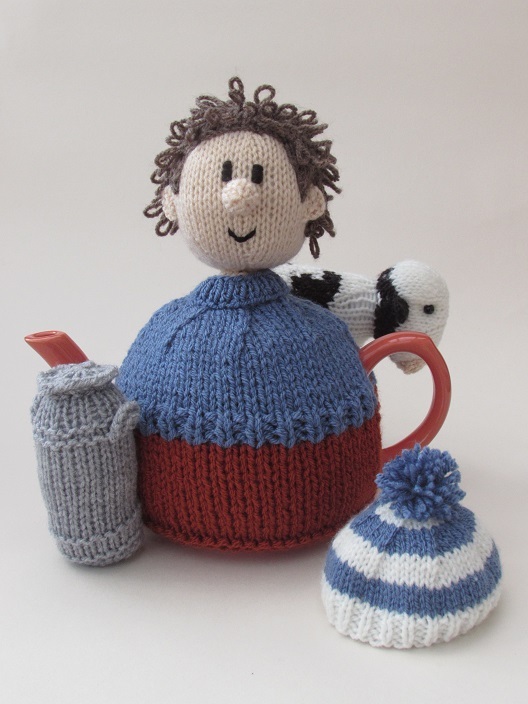 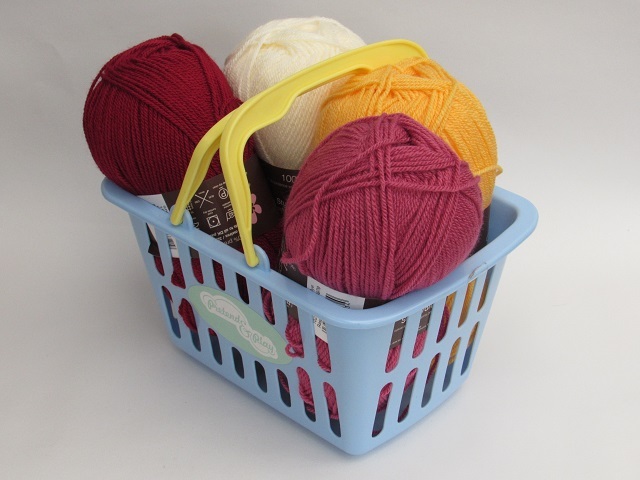 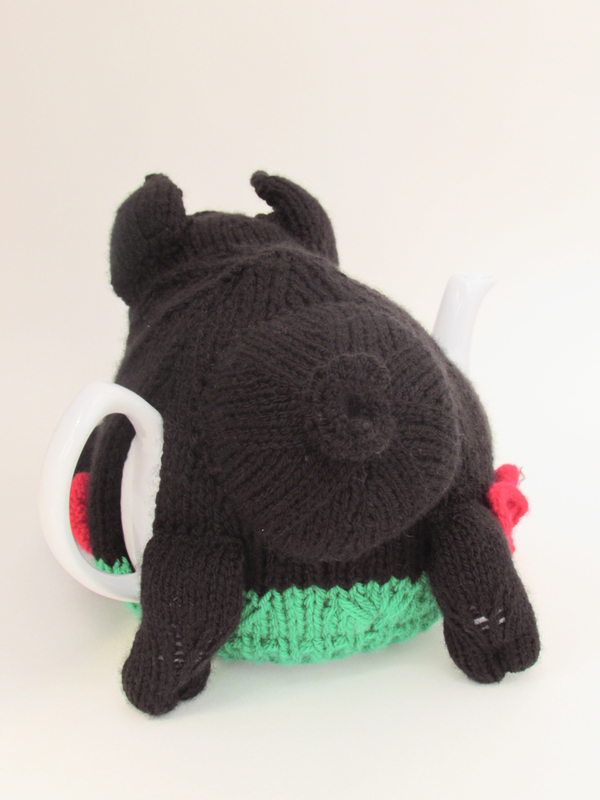 I think the trickiest part of this tea cosy was knitting with black yarn. You can only really work with black with daylight. 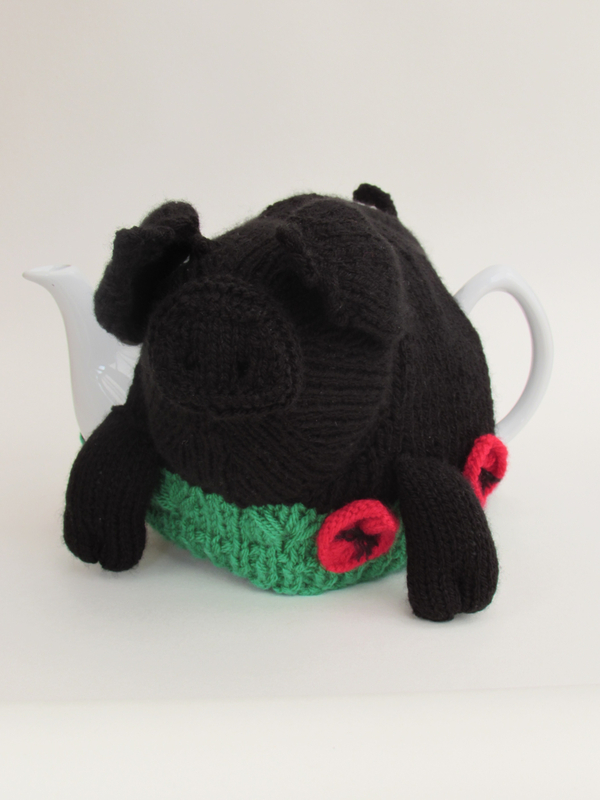 I do love the Large Black Pig tea cosy, I think she's rather cute and has a playful charm. 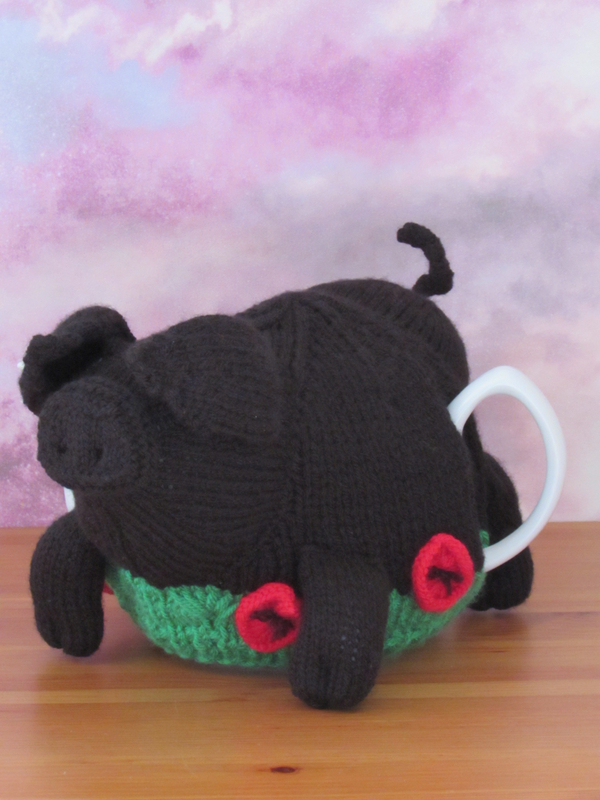 I love that she's based on a real breed too and looks like a pig. 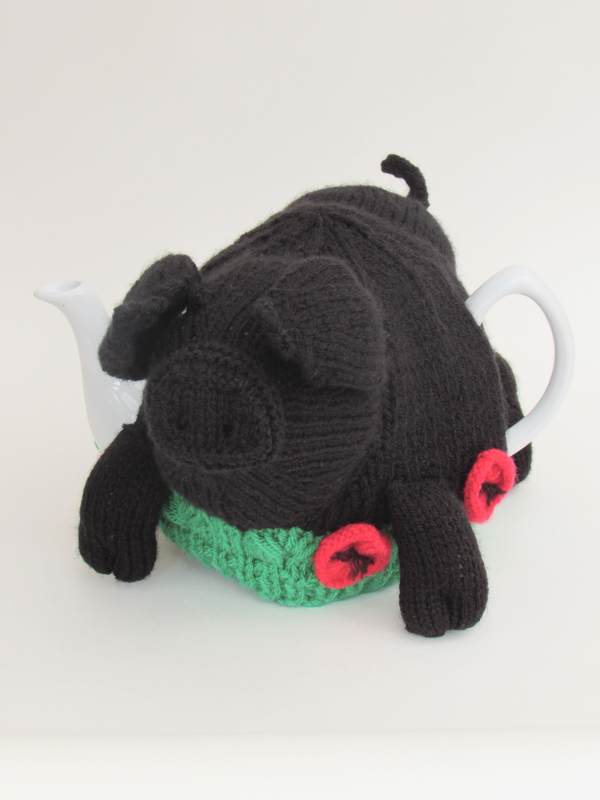 Pig out at tea time!